I had enormous good fortune to spend time with Jim Olds. Dr. James Olds is the Director of the Krasnow Institute for Advanced Study, an independent research institution located on the campus of George Mason University in Fairfax Virginia. Concurrently he is the Shelley Krasnow University Professor of Neuroscience at George Mason University and Chair of the Department of Molecular Neuroscience. He has an additional academic faculty appointment at the Department of Anatomy and Cell Biology at the Uniformed Services University of the Health Sciences in Bethesda, Maryland. Olds received his bachelors of arts degree in Chemistry from Amherst College in 1978. After graduating, Olds interned on Capitol Hill for the United States House of Representatives researching chemical aspects of mid-future electrical energy alternatives for the New England Congressional delegation. Olds entered the Neuroscience Ph.D. program at the University of Michigan in 1983, and received his Ph.D. (1987) in neurosciences from that institution. Following the award of his doctorate, Dr. Olds continued his training as a post-doctoral fellow in the Laboratory of Molecular and Cellular Neurobiology (LMCN), NINDS at the National Institutes of Health. Commencing in 1989, Olds published a series of papers which, for the first time, imaged learning-specific changes in the distribution of the activated form of the enzyme protein kinase C in the brains of both invertebrates and mammals. For this work and follow-up studies, Dr. Olds received the NIH award of merit in 1993. In 1994 Dr. Olds was appointed as a senior staff fellow in the newly formed Laboratory of Adaptive Systems (LAS), NINDS. During this period of time Dr. Olds founded the internet news group “bionet.neurosciences”. Thousands of articles have been posted to this internet news group from all over the world. Dr. Olds shares authorship of two U.S. Patents for novel CCD-based imaging devices which image radioligand distributions directly from biological tissue. During his government service, Dr. Olds also served as U.S. project officer on two successive government R&D contracts to develop novel biologically-based computer algorithms which emulate human associative learning and image comprehension. In 1995 Dr. Olds moved to the private sector to become the Executive Director of the American Association of Anatomists, a professional scientific society representing some 2,500 biomedical scientists. In August 2004, he was named editor-in-chief of the journal Biological Bulletin. In a volunteer role, Olds served as a political appointee on the Commonwealth Alzheimer’s and Related Diseases Commission from 1998-2004 under both Republican and Democratic governors. Dr. Olds has served on grant review panels for the National Institutes of Health, the National Science Foundation and the Office of Naval Research. He served on the American Association of Anatomist’s Public Affairs Committee from 1995-2002. 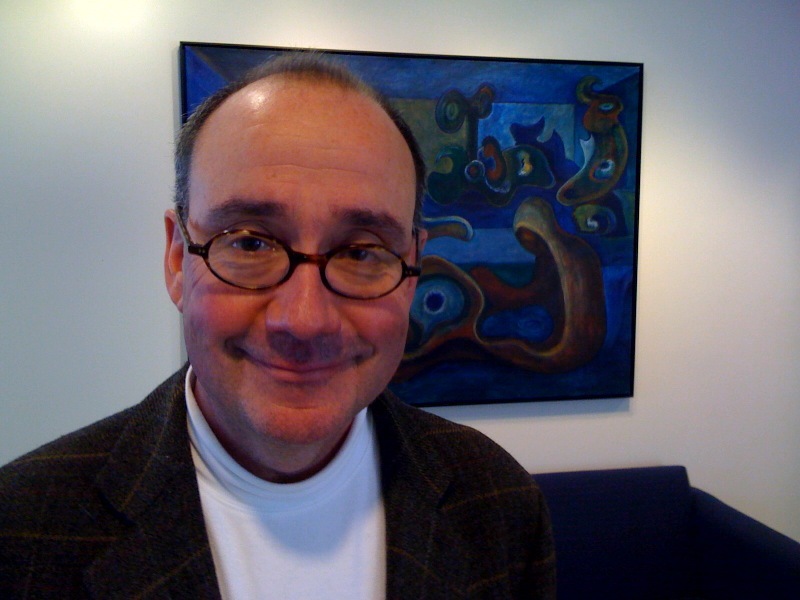 Dr. Olds also serves on the editorial board of the Journal of Cognitive Dynamics. As a scientist and public policy expert Dr. Olds has been an invited speaker to many domestic and international meetings to speak on topics ranging from brain imaging to global warming. He currently serves on the Board of Trustees of the George Mason University Foundation. My distinguished colleague, Dr. Stuart Parkin, invited Dr. Albert Fert to IBM Research – Almaden today, and also arranged for me to meet with Dr. Fert. 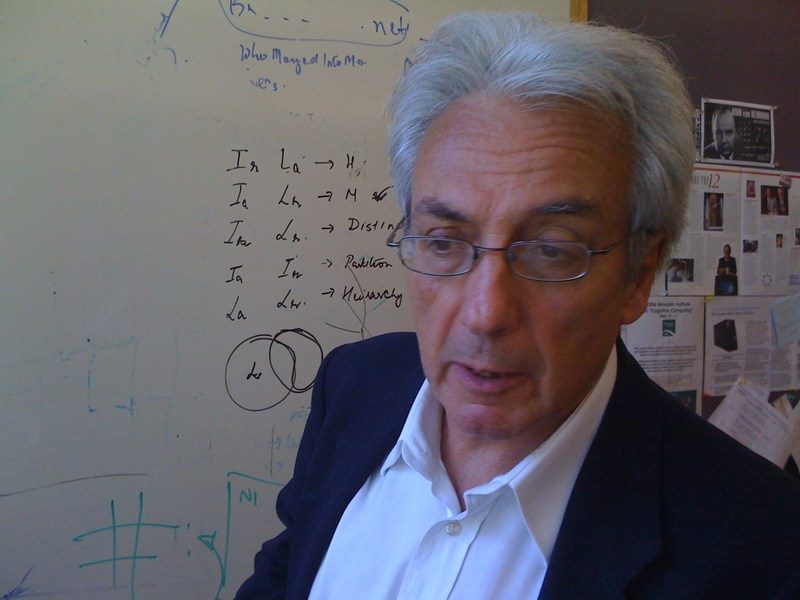 Bio: Albert Fert (born 7 March 1938 in Carcassonne, Aude) is a French physicist and one of the discoverers of giant magnetoresistance which brought about a breakthrough in gigabyte hard disks. He is currently professor at Universit Paris-Sud in Orsay and scientific director of a joint laboratory (‘Unit mixte de recherche’) between the Centre national de la recherche scientifique (National Scientific Research Centre) and Thales Group. Also, he is an Adjunct professor of physics at Michigan State University. He was awarded the 2007 Nobel Prize in Physics together with Peter Grnberg.